The Geisinger Medical Center worked with WPPSEF to install a 38 kW solar PV system on the Janet Weis Children’s Hospital (JWCH) in Danville, PA. 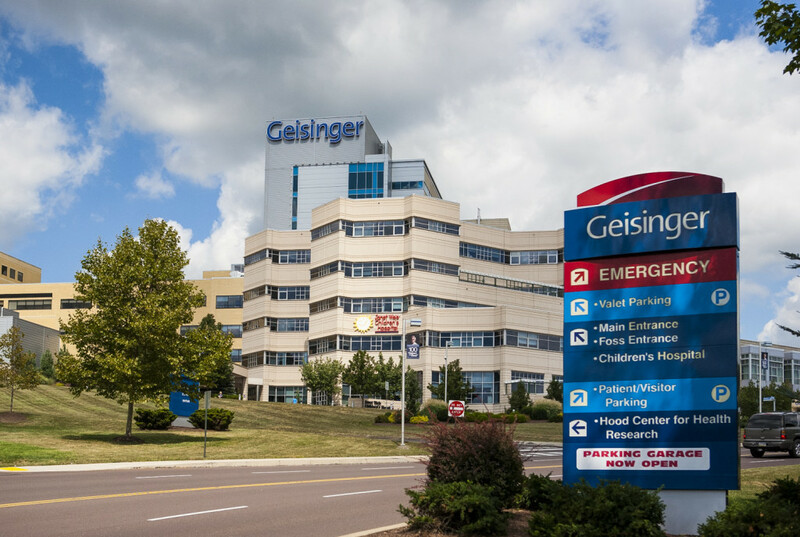 Prior to installing the solar PV, Geisinger replaced the roof on the Children’s Hospital. In March 2015, the roofing upgrade was completed and the solar PV ballasted supports for the 38kW, 144 panel array ware installed. The installation of the solar PV system was completed and the solar array began generating power in April 2015, supplying about 20% of the peak energy load of the Children’s Hospital. WPPSEF provided $100,000 in co-funding to support the solar PV installation and educational kiosk. The Fund applauds Geisinger’s nationally recognized commitment to environmental stewardship and sustainability. An educational kiosk on the solar PV system has been installed in the JWCH lobby to educate families on how the solar PV is providing clean, emission free electricity to power the Children’s Hospital. In 2016, Geisinger earned the Governor’s Award for Environmental Excellence in 2016 for the Janet Weis Children’s Hospital Solar Panel Project. These award winners represent the best in using innovation, collaboration, and public service to improve and protect Pennsylvania’s environment. The solar PV system and educational kiosk was dedicated on April 22, 2016.